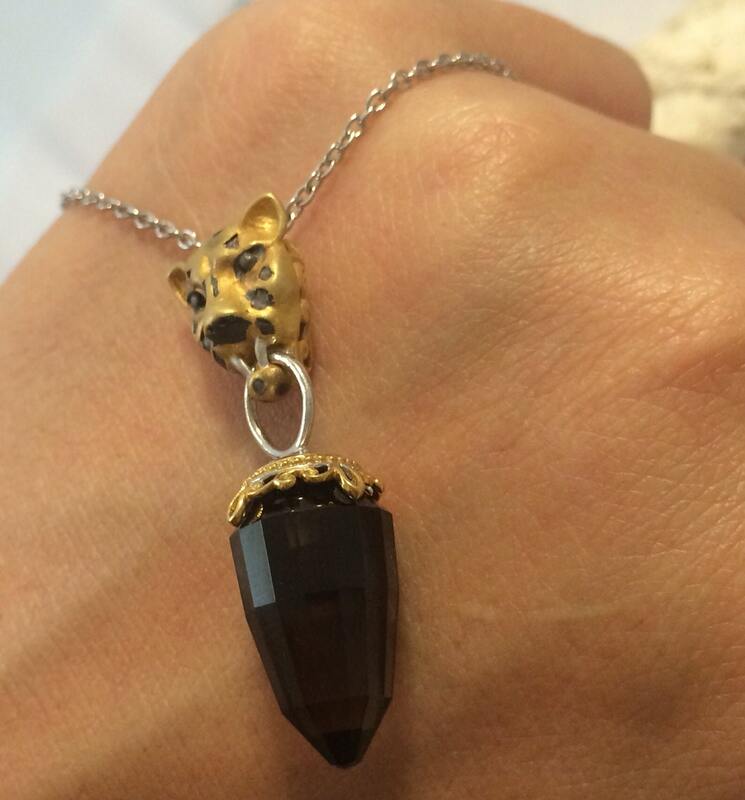 17ctw Smoky Quartz Panther Head Two tone sterling silver and Palladium necklace. 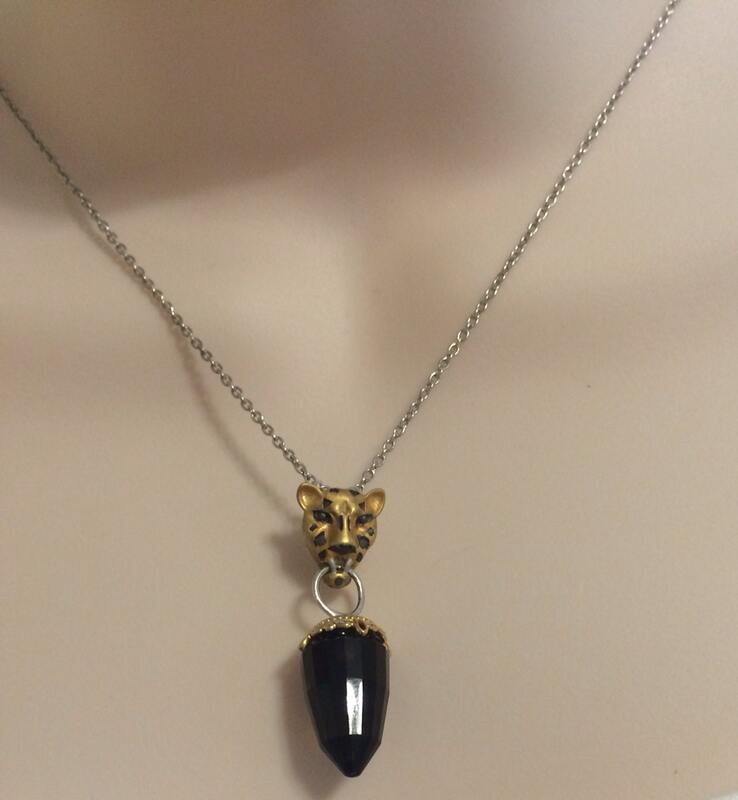 1.5" 17ctw Smoky Quartz Panther Head Drop necklace 18" long. An exceptional style deserves a special wearer! 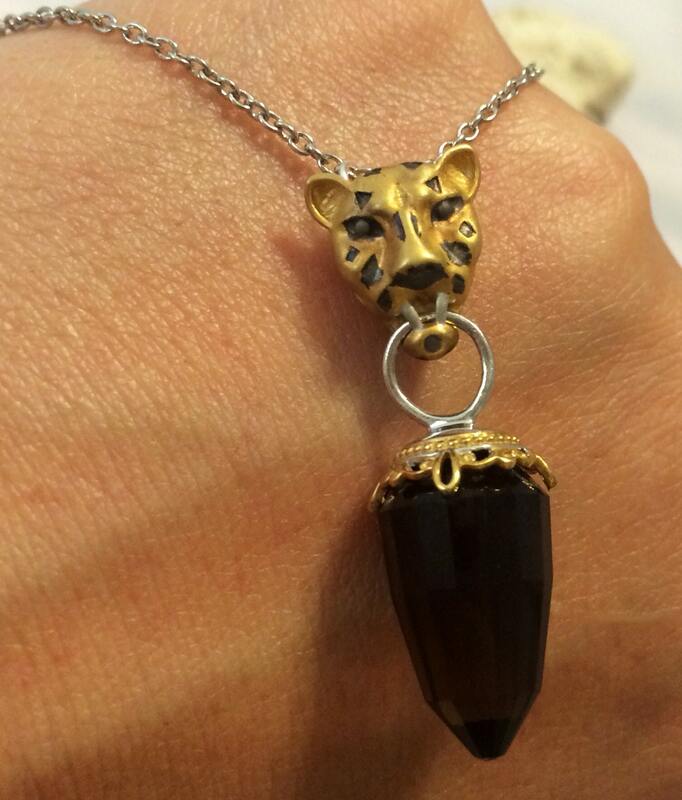 This panther necklace will turn heads your way with its fiery style. 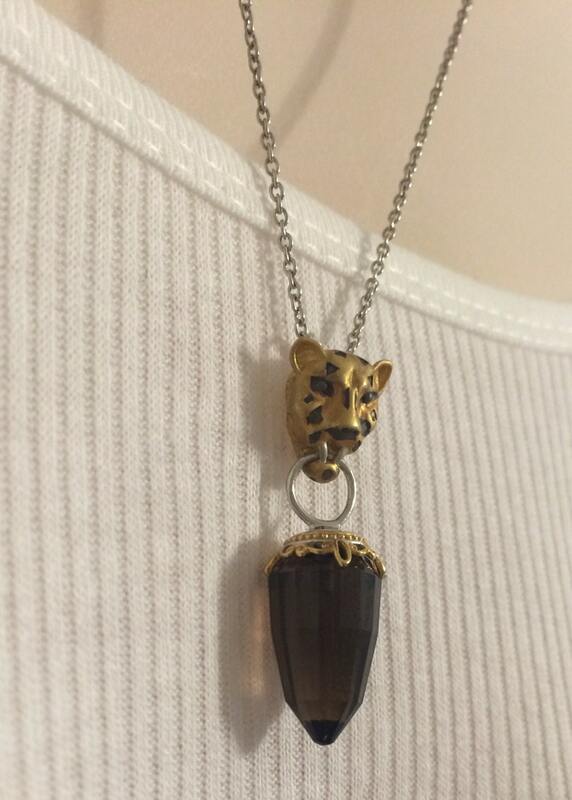 Attached to the chain is a satin finished and sand blasted panther head. 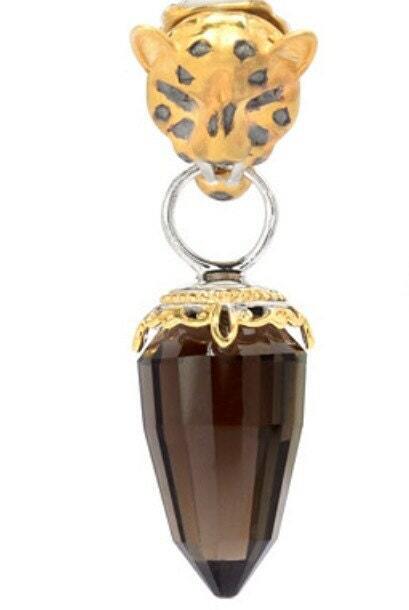 Hanging from its mouth is a bullet-shaped smoky quartz. Includes an 18" cable link chain that secures with a spring ring clasp. Pendant doesn't come off. 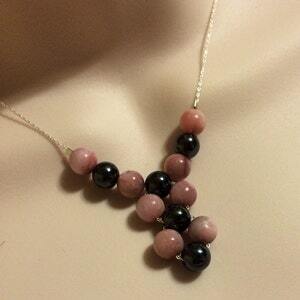 Sterling silver Kunzite and Hematite woven necklace. 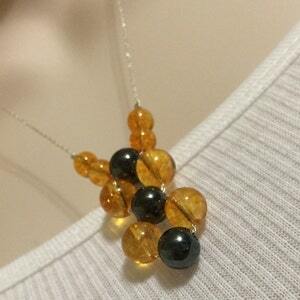 Sterling silver Citrine and Hematite woven necklace. Flower Power. 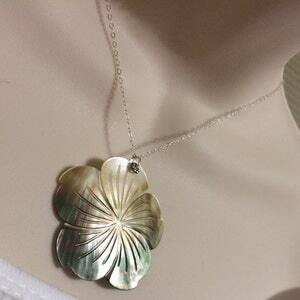 Sterling Silver Carved Mother of pearl Flower necklace. 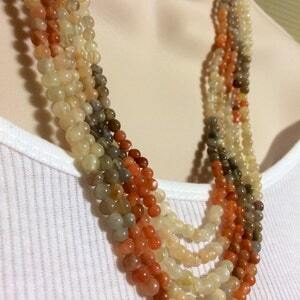 5 Strands of Moonstone sterling silver necklace.